From New York Times Bestselling Author, S.L. Scott, comes a new book that will introduce you to rock stars with heart and soul as well as revisit with some favorites from The Resistance. I fell in love with Jet! He's on the verge of making it big with his band The Crow Brothers. They are really brothers and Jet has been their father figure and leader for a long time. He's raised his three brothers himself after his mother died and he's done well with the task. He doesn't often do one-night stands but the sad girl at the bar draws his attention. Hannah is home to help with her dying cousin. She's uprooted her life to take care of her cousin's son while cancer eats away at his mother. She lets herself have one night filled with fun with the hot singer from the band, never knowing who Jet is to her cousin or her cousin's son. It's a good twist of intermingled love and loss. Hannah was a little hard for me to like at first, but she grew on me mid-book and I felt for her loyalty and her longing for love and acceptance. Jet was a wonderfully written character who never gave up and always did what you hoped a good man would do for his son. I enjoyed the story and was happy with the ending. It had some good drama with ex-lovers on both sides and intermingled with family strife along with a meddling, mean aunt. I felt it could have been a little shorter as it began to feel a tad monotonous, but never did I want to give up on Hannah and Jet's story. I'm not sure I was drawn in enough to read the next book/next brother's story, but a solid four-star read for Jet! 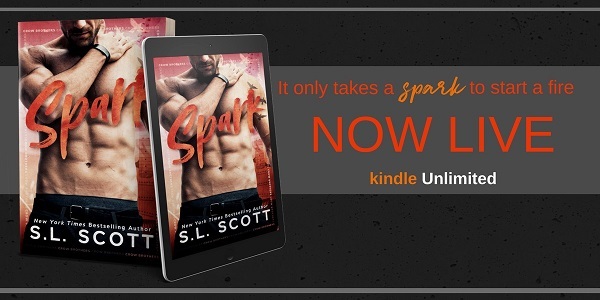 New York Times and USA Today Bestselling Author, S.L. Scott, was always interested in the arts. She grew up painting, writing poetry and short stories, and wiling her days away lost in a good book and the movies. To have updates delivered right to your email box, sign up for her newsletter at THE SCOOP. 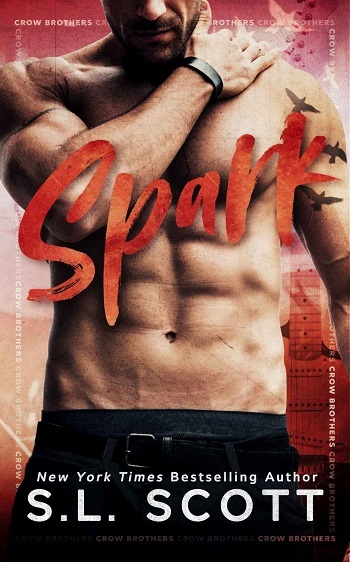 Kris reviewed her personal copy of Spark (The Crow Brothers #1) by S.L. Scott for this post.